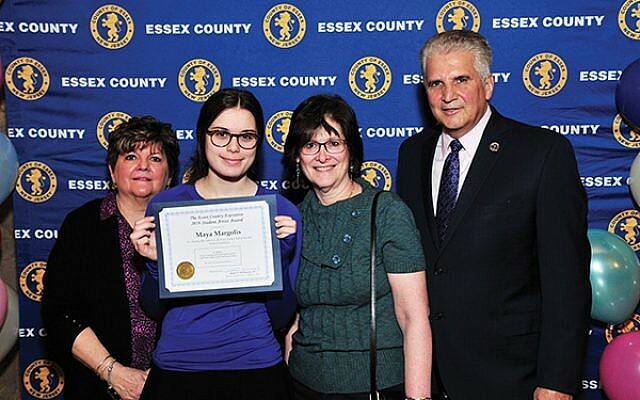 MAYA MARGOLIS from Rae Kushner Yeshiva High School (RKYHS) in Livingston participated in the Art Educators of New Jersey Student Art Exhibit at the Essex County Hall of Records in Newark. The artwork was on display through the month of March. 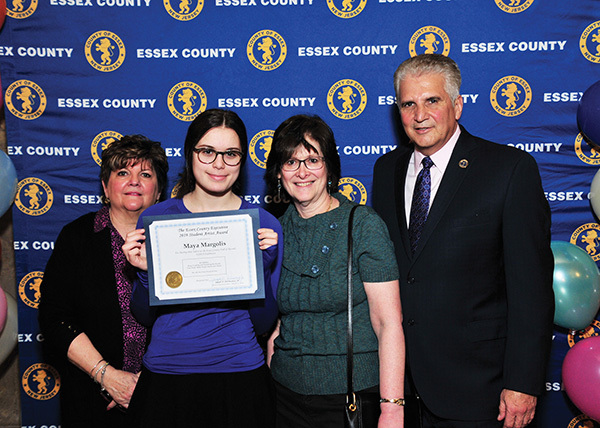 Maya is pictured with, from left, Marion Resciniti of the New Jersey Art Educators, RKYHS art teacher Debbie Beuchler, and Essex County Executive Joseph N. DiVincenzo, Jr. Not pictured are RKYHS students Benjamin Huppert, Jacob Elstein, and Nava Chfitz.